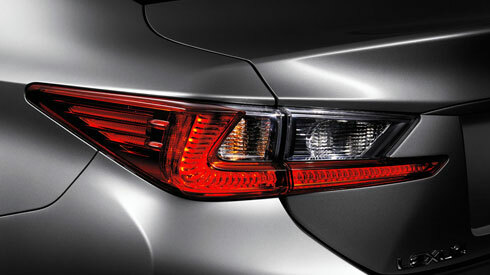 Integrating the LED front fog lamps inside the ‘spindle grille’ helped create the wide powerful stance. They produce a bright beam, contributing to excellent visibility for safe driving in low light and at night. 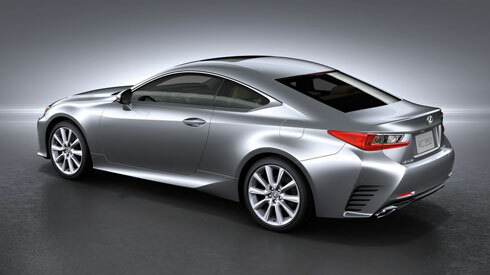 Complementing the sleek exterior, the interior embeds a class-elevating, contemporary sports dynamic that fuses the love of sports driving pleasure with the elegance of a premium coupe. The sports focus is evident in the open feeling created by the horizontal lines of the instrument panel, the upward slope of the center console, and large knee pads on the sides of the center console and the door trim. The contrasting materials in the layered structure of the cockpit express refined elegance, a feeling deepened by the subtle sophistication of the ambient illumination in the door trim and the striking simplicity of the analog clock. 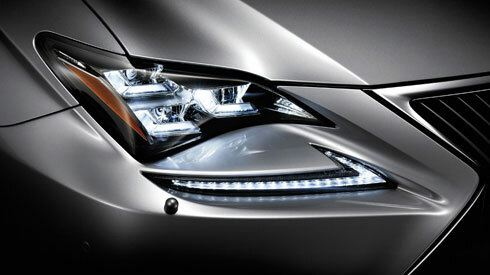 The eye-catching, L-shaped design of the 3-eye, energy-efficient LED headlamps evolved from the headlamps of the Lexus LFA and LF-LC supercars. 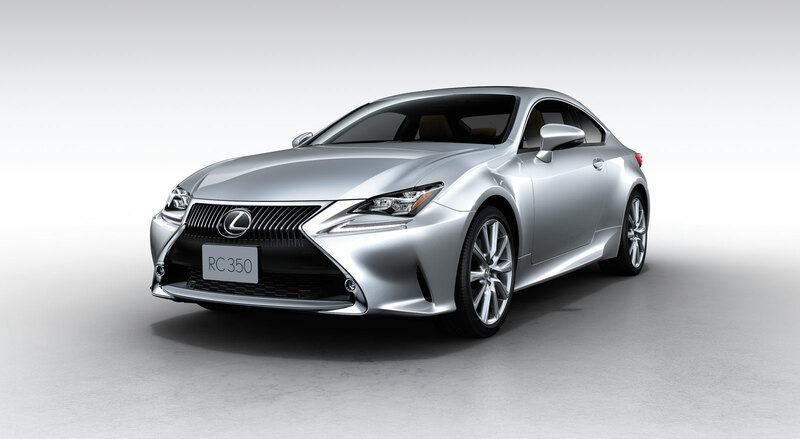 Their unique layout which gives the lenses a triangular look from every angle, and the L-shaped LED DRL integrated in the front bumper, create a fresh expression of Lexus sporting DNA. 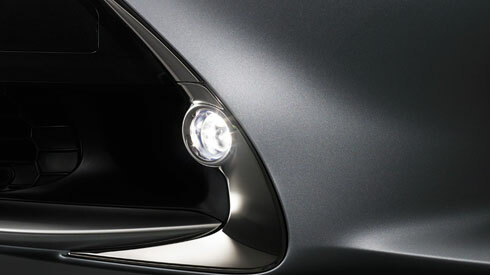 The energy-efficient LED lamps have a grain finish on the inner structure of the lens and protrusion points that disperse light, helping them to sparkle like glittering jewels and accentuating the Lexus L-shaped motif when illuminated.